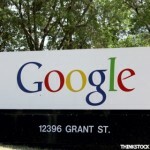 Google now penalizes online piracy: Is this good or bad? Ever worry about being people stealing your precious content? Well now Google have announced new changes to their search algorithms so the search engine can more easily penalize sites containing pirated content, that is to say, those that host content without the permission of the original copyright holder of that content. In the statement on Google’s Inside Search blog, Google reiterate that all notices must come from a legitimate copyright holder before a site is penalised and that a counter notice procedure is in place for those who feel that they have been wrongly penalized. However, it remains to be seen whether this will have a strong enough impact, especially considering the staggering number of takedown notices filed, 4.3 million in the last 30 days alone, something that is often done automatically by software designed to identify copyright violation, something that has resulted in embarrassing errors in the past. Is this a risky move for Google? It’s possible that Google will see a significant backlash from this decision; we all remember the strong response from internet users last year in response to the SOPA bill, with much of the internet going black. The concern is that this will have a chilling effect on public forums within the internet, with user forums, comments and message boards removed by web administrators who fear being penalized for illegal content shared by users. Another factor that may trigger a backlash against Google is the fact that its YouTube site will apparently be unaffected by these changes. Although Google have always worked hard to remove pirated content from the service, it remains a nexus of such content, and if Google is indeed applying double standards on this matter with regard to its own content it is likely that other web administrators will be questioning the impartiality of their search results. It appears that YouTube is treated the same as other sites by the changes, but they are designed in such a way that the websites ranking will not be significantly affected. It remains to be seen how the other major search providers Yahoo and Microsoft will respond to Google’s algorithm changes, but they will likely feel some kind of pressure to make the similar changes to their own search engines. How do you feel about Google’s new algorithm changes? Do you think this is a good thing, or not?